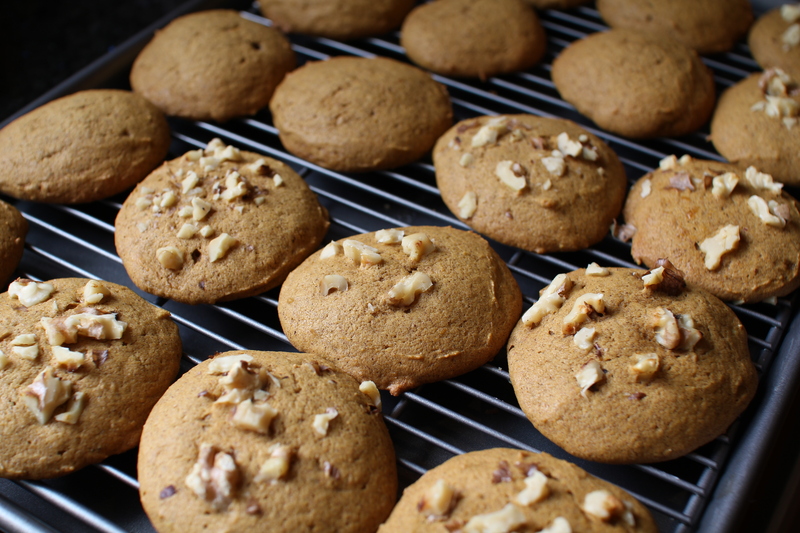 Pumpkin Whoopie Pies [recipe] – Cin Cin, Let's Eat! Who says you have to have pumpkin pie as dessert on Thanksgiving? Well, I do loooove pumpkin pies, but why stick to pie when there are all these other delicious pumpkin desserts waiting for me to try? My mom made pumpkin flan this year, which is a family favorite for years. 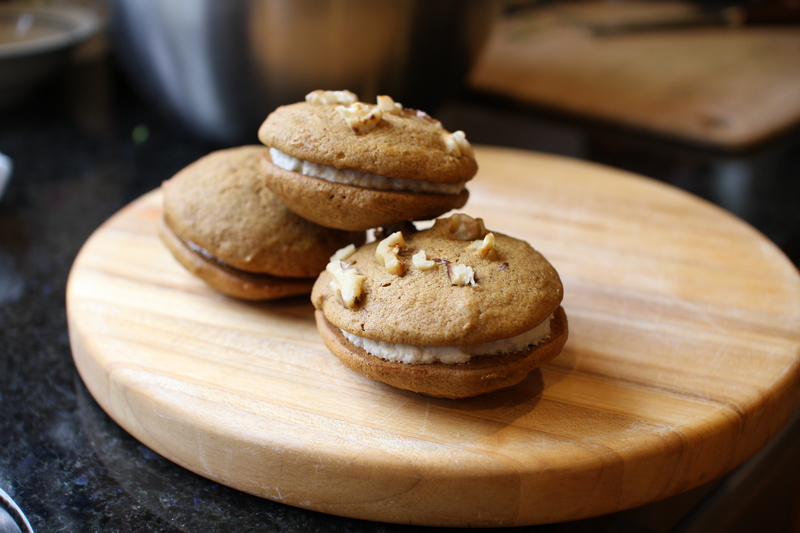 I wanted to make another little treats that we can nibble on over tea and coffee after dinner, pumpkin whoopie pie it is! 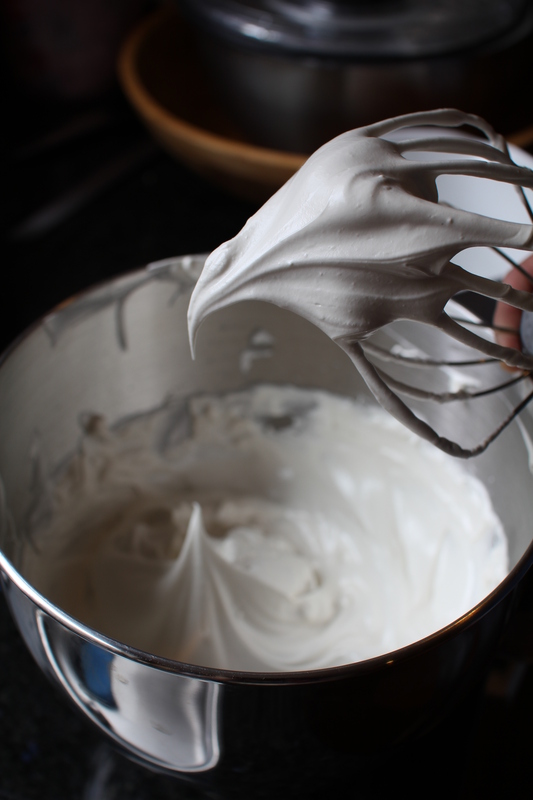 Another exciting thing about this recipe was that it called for marshmallow creme (or marshmallow fluff), something that’s on my list to make! Okay no hateful comments… but the thought of kids eating this stuff on toasts for breakfast makes me cringe a little every time I stroll down that aisle in the supermarket. Though I’ll admit that I’ve always secretly want to try it, maybe for an afternoon snack on a dreadful work day or as a 2am drunken snack binge. I digressed. Anyway, I thought I could make the fluff with the marshmallows I have on hand already, but turns out that marshmallows have gelatin in them and that’s why they’re not in the spreadable form like the fluff. The result of the marshmallow creme was pretty awesome. Of course it was sweet, but that was expected. 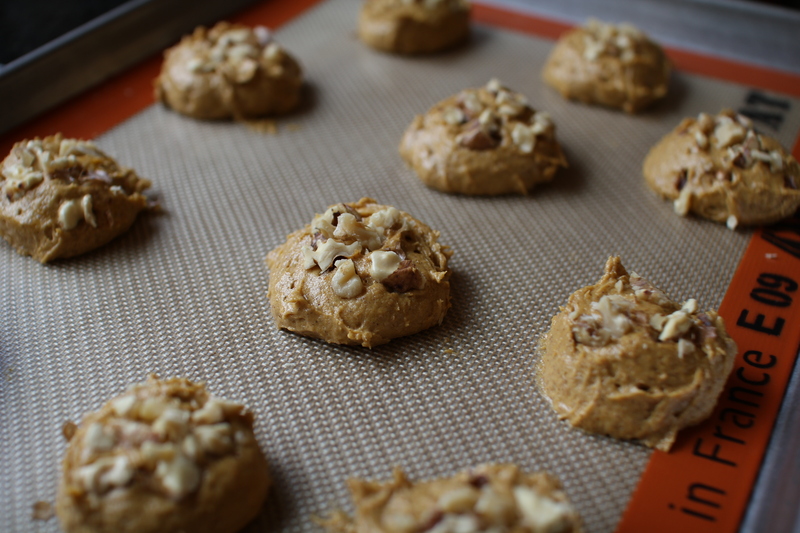 Thus, I reduced the amount of brown sugar for the pumpkin shells/cake to a little bit less than 1.5 cup. These tasted the best on the same day they were made. You can certainly refrigerate them, preferably plastic wrap them individually, and let them come to room temperature before serving. However, I do find that after refrigeration, the whoopie pie shells get a little sticky, sort of like how ice cream sandwiches’ shells get stuck on the fingers. When serving, I placed the sandwiches on top of a sheet of parchment paper to prevent them from sticking. YUMMM! And yes, I mixed the homemade marshmallow fluff with some cream cheese and spread it on cinnamon toasts, carrot cake, banana cake…etc…it was glorious!